Why should Brands and Marketers care about the Platform? By now you must have heard about TikTok platform from other people or seen an advert initially featured on the platform. Perhaps you have seen looping videos on your social media feeds such as Instagram and Facebook featuring the TikTok app. Naturally, digital marketers want to delve deeper to evaluate if the platform is a fad or worth it and the results speak for themselves. Brands and influencer agencies have acknowledged the potential TikTok has and are almost clamoring to get a piece of the action. The growth chart for the platform is impressive, and the app might give forerunners such as YouTube and Instagram a run for their money. With its roots deeply seated in the Asian market, a whopping 500 million users in the pocket, and 300 million active users every month, the future looks promising on this end. The testing space and financial portfolio don’t lie. It’s no longer a matter of if but how. How do you make the most of the platform? How will you get through to your audience? For brands promoting products for the younger generation, there couldn’t be a better match. There’s no doubt the older generation will catch up, but investing on the platform early enough is worth it. Brands with a younger customer base ranging from 16-24. More the 60 % of the users on TikTok lie within this age range. The platform is suitable for brands willing to experiment with new alternative options. If you consider yours a trendsetting brand, then this platform is a good start. Lifestyle brands. The limits are boundless on this one. Since most products we use are part of our everyday lifestyle, TikTok is the best medium to improve your influence. Brands related to content creation such as music and videos are another perfect fit for these brands’ influencer marketing. If you are still not convinced about whether to take your influencer marketing business to the platform or not, then an agency will help clear your doubts. 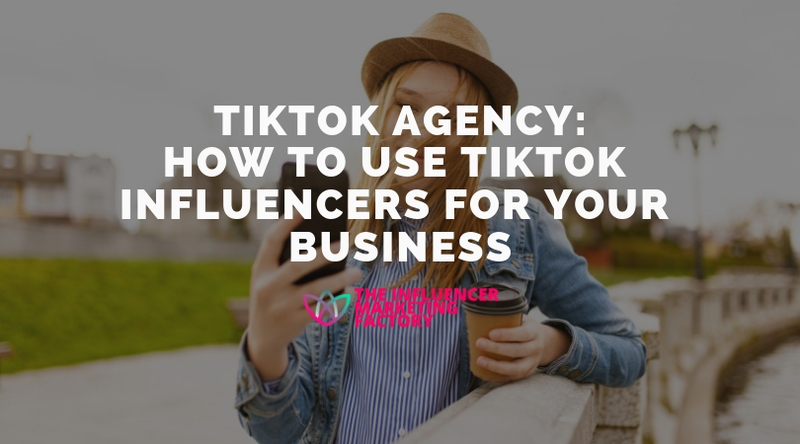 With an influencer marketing agency, you can evaluate the viability of your brands on different platforms as opposed to TikTok. The craze about the app has prompted many bloggers, brands, users, and influencer marketers to take on TikTok. There’s nothing wrong with using the most promising app in the industry. But doing it differently and aiming at long-term results is the best strategy you can employ. What better way to do this than using dabbling with original content. However, it takes a lot of effort time and resources to make this happen. Luckily, a good influencer agency can help you do it hassle-free. Nonetheless, there are very few things that match the efficiency of originality. TikTok features viral content; therefore, to make it on the platform you will need viral content. The pacesetter and influencers on the market have set the standards high. Maintain your brand identity. Ensure your character is not lost amidst the vast landscape of lightheartedness and viral video creation. You can emulate the path followed by other successful brands on the platform. Thus far there have been an immense user engagement and reaction thanks to the smart features such as a filter that allows you to keep users safe from manipulation, harassment, and misuse. TikTok has already fitted the app with tools that enable users to filter content by some keywords and control their privacy. Such measures include the disable and enable download feature, setting who can “duet” with you, and tuning who can comment on your content. The app has further created a series of videos to inform users on how to stay on the safe side of their policies. The platform seems to be learning from previous social media experience. For instance, other platforms seem to educate their users as an afterthought or when their hands are forced while TikTok implements the thought from a broader perspective of the social trends. The next big question is whether TikTok will introduce ads and how the users will react to the new feature. Interested in Tik Tok for Influencer Marketing?